Check out this video to hear the presets in action. 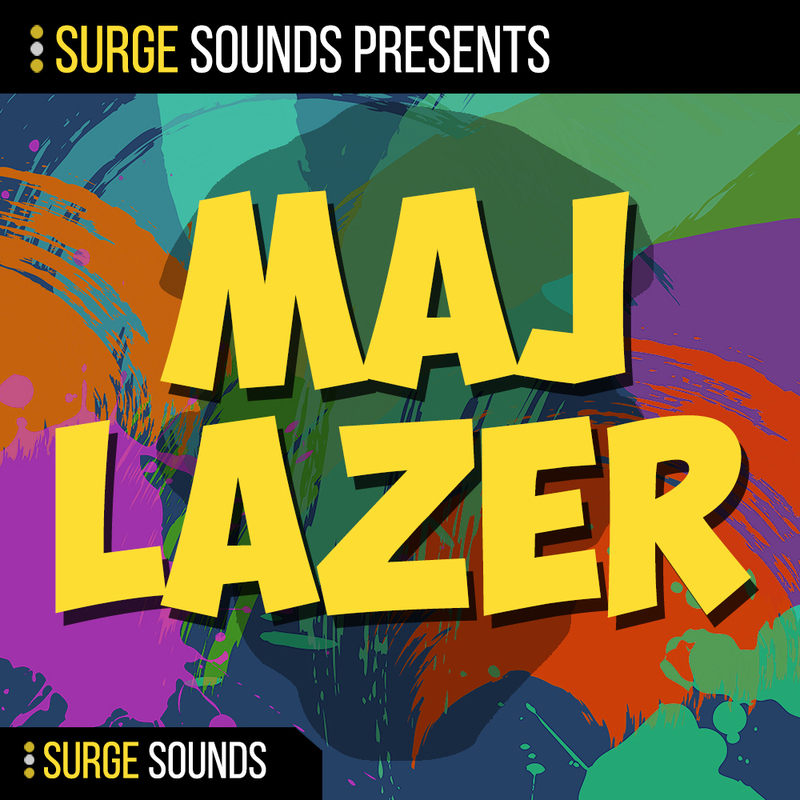 Surge Sounds - MAJ LAZER is a groundbreaking sound bank packed with authentic sounds inspired by Major Lazer, Jack U, and Diplo. The team behind Surge Sounds is always striving to provide top notch and cutting edge presets that will push the current creative boundaries. Inside this groundbreaking collection is a complete arsenal of 128 presets, 64 Xfer Serum and 64 NI Massive presets, crafted with the most current sound design techniques. A sound bank that you just cannot wait to start producing with! On every preset there are 4 macros for Xfer Serum and 8 macros for NI Massive at your finger tips, giving you creative control to mix them up. We included 212 high quality drum samples as a bonus. 50 Snares, 50 Claps, 40 Kicks, 37 Closed Hats and 35 Open Hats all professionally processed and ready to drop straight into your project. 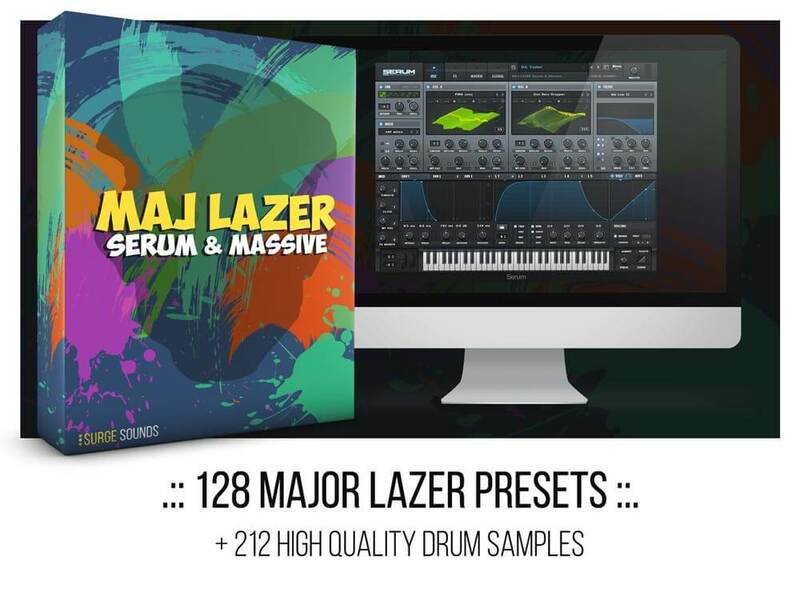 If you are looking for the ultimate Major Lazer sound bank to spark your creativity giving you tune after tune, this is the pack for you! 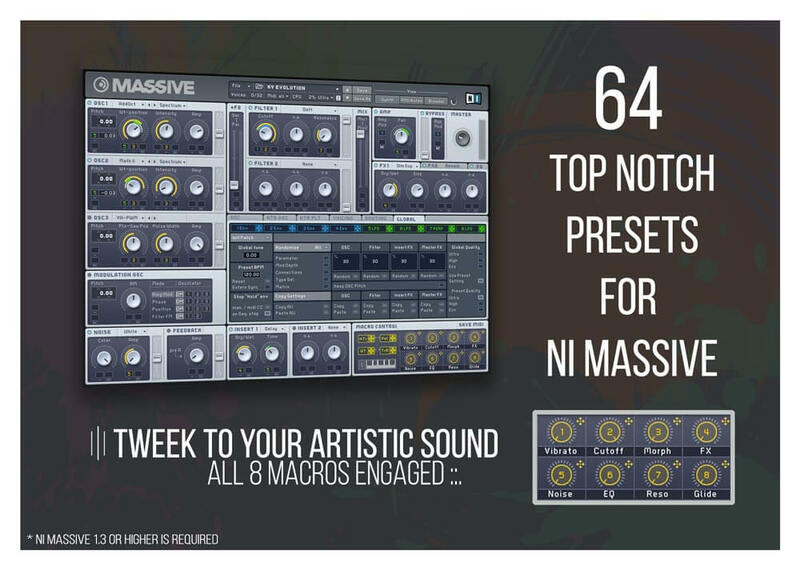 HERE`S EXACTLY WHAT YOU`RE GOING TO GAIN.
.:: 64 Xfer Serum Presets ::.
.:: 64 NI Massive Presets ::. 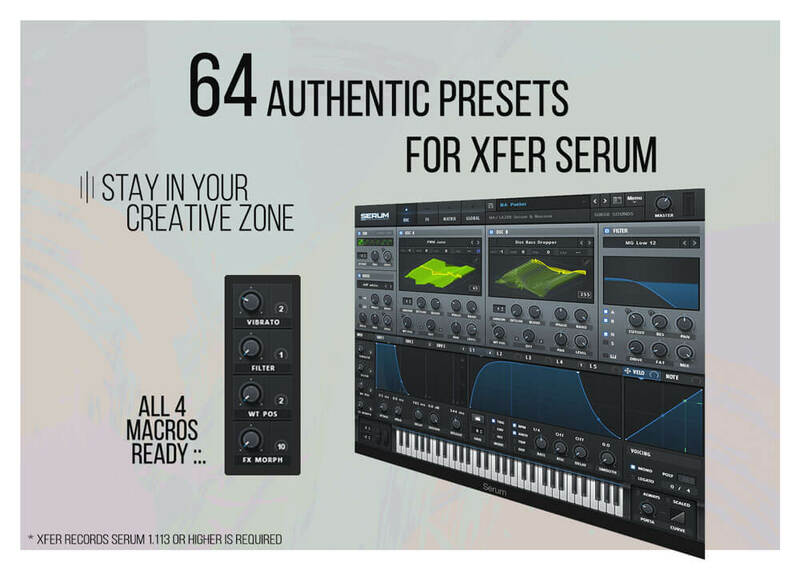 Xfer Serum 1.113 and NI Massive 1.3 or higher is required.
.:: Presets in this demo ::.